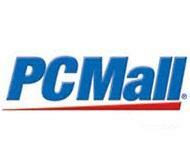 PCMall is the #1 Online Destination for top brand PCs like Lenovo, HP, Dell, Intel, Microsoft and more. Since 1987, PCMall has been supplying PC computers, mobile devices, and accessories to consumers, businesses, and creative professionals. At PCMall, we understand the increasing demand for the best quality consumer products at huge discounted prices. That's why we are proud to offer the lowest prices on our extensive selection of best-selling products. Get yourself the latest Lenovo laptop or Microsoft Surface for computing on the go! Looking to upgrade businesses’ digital signage or printers? PCM has a wide selection of monitors, printers, storage, gadgets, and PC accessories for all your home and business needs. More than innovative products, PCMall goes beyond commerce into affordable, high-quality, business solutions. From customized business sites to software licensing, technology certifications, configuration services, packaged service programs, and more. Enjoy easy management, easy installation, and easy implementation. Discover a whole new way to create and re-create your business.